In this edition of Perspectives we invited Alison Martin, our Marketing and Communications Director at the UK, Ireland and US. 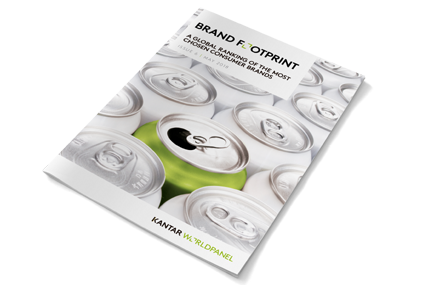 She talks about brands in the UK, the insights featured at the latest Brand Footprint, Kantar Worldpanel’s world’s most chosen brands ranking, and about how brands can still find room for growth. Looking at the Brand Footprint ranking from a UK perspective, only 19% of the top 50 brands are actually growing their consumer reach points. Alison Martin explains that there has been a raise of the discounters and the bargain stores which means an increase of own labels and also an increase focused on price. When we look at the Brand Footprint we see that only seven out of the top 50 brands reached more than 1% penetration growth. In this context, brands are facing two issues: they need to understand the needs and the preferences of their target and how they may vary, and they have to be clear on what their proposition is and how this actually appeals to those varying and changing needs for their target consumers. As also revealed at the latest Brand Footprint report, successful brands pull on a number of levers in order to achieve growth - finding new moments of consumption, seeking new targets, expanding across categories, having more presence and creating new occasions. Alison Martin reviews these levers through the strategies of brands like Magnum, Tena, Alpro, Ginsters and Arla. If you are interested in knowing more or want to discover how we can help you doing it, leave our expert a message through the button on the right.